Now that Galaxy S9 and Galaxy S9+ have officially started retailing, those who have not upgraded as yet might turn their attention to the upcoming Galaxy Note 9. 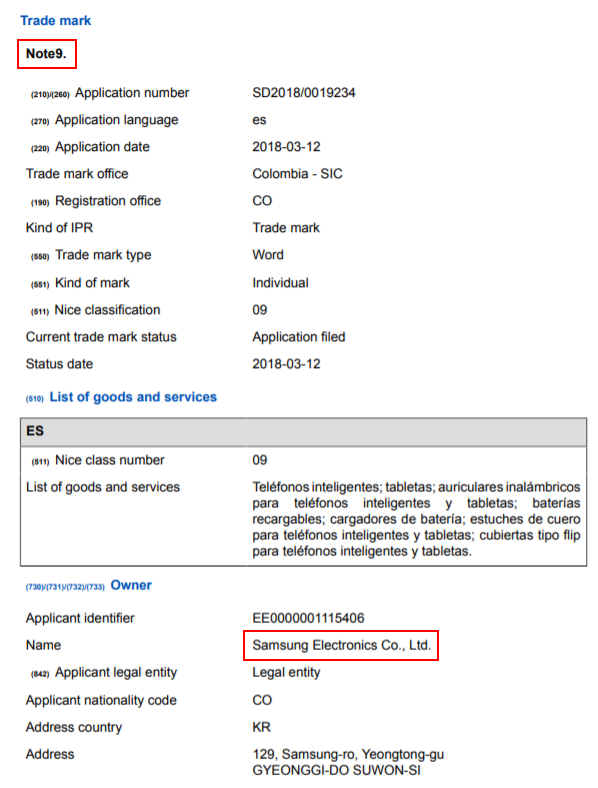 It could be possible that Samsung might be exploring a name change, but alas, the latest trademark filing reveals that the upcoming flagship phablet is indeed coming and it will feature the exact same name. 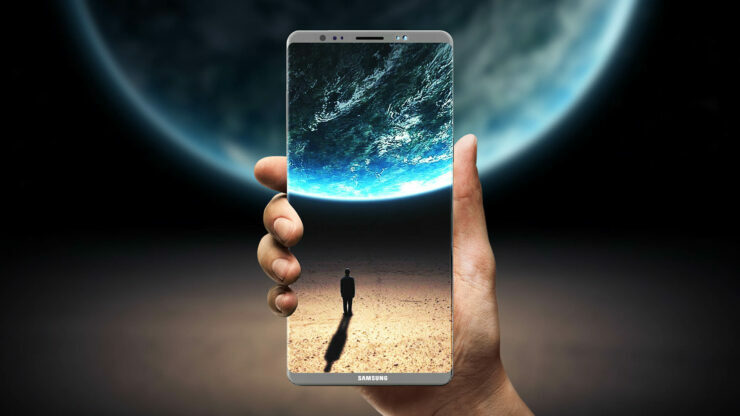 Galaxy Note 9 has also been rumored to follow the same design as the Galaxy S9, meaning that there is a huge possibility that the phablet will not feature the in-glass fingerprint reader. As per previous reports, the Galaxy Note 9 will have a 6.3-inch display, like the Note 8, and cover glass and brightness improvements like those seen on the displays of Galaxy S9 and Galaxy S9+. The phone will be powered by Exynos 9810 or Snapdragon 845, just like its predecessor too. It will have 6GB of RAM and probably a dual-camera setup but a slightly improved version than one hardware present in the Galaxy S9+. It is not known yet whether the device will come with Android 8.0 or 8.1 pre-installed, but it will be a good idea of Samsung can run the latest Android update because the company is notorious for bringing out software updates very late to its devices. The Note 9 might be Samsung’s first phone to display an in-screen fingerprint scanner, but it is possible that Samsung will forego this feature in the future and incorporate it on the Galaxy S10, or Galaxy X instead. We are hoping that the battery capacity will be higher, but even if it remains the same, the S-Pen aficionados will surely line up to get the upcoming phablet by the South Korean giant. However, let’s hope that the Note 9 will be more reasonably priced than the Galaxy S9 and will come with its own swath of features that Samsung can market effectively. It is expected that the Galaxy Note 9 will be unveiled in August and it will release during September this year.